So one day a couple of us got together to see if there was any way we could make money more fun than it already is. That’s when we came up with the Cash Cube. Step in and get ready, to grab as much money as you can. It’s not as easy as it looks, but it sure is as fun as it looks. 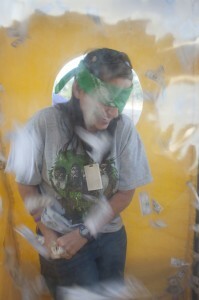 The Cash Cube swirls cash and/or prizes right in your face! Whether it is cold-hard-cash, raffle tickets, or gift certificates. The cash cube can really entice people to participate in your event. 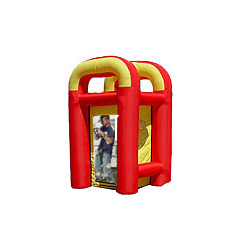 A great option for giveaways, promotions, & fundraisers. So reach out and grab the Cash Cube for your event today, so your group can reach out and grab the cash tomorrow. With a cash cube, it's never been more fun to be greedy! Includes remote on/off switch. Play money not included may be ordered separately.